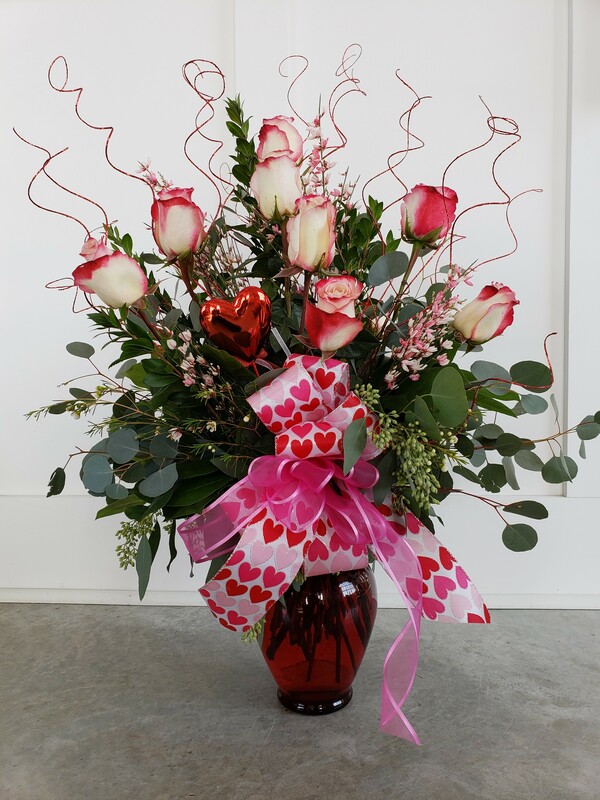 Dozen long stem roses (any color) accented with stylish greenery and filler. Festive accents such as ting ting, holiday stems, and a bow complete this presentation. 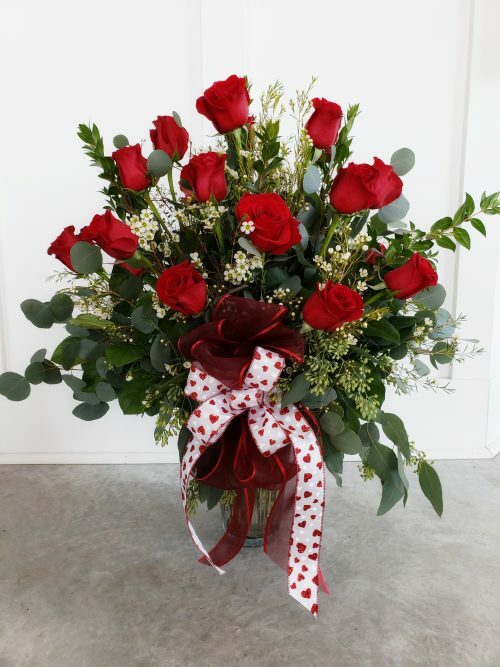 Who Is This Being Delivered To?